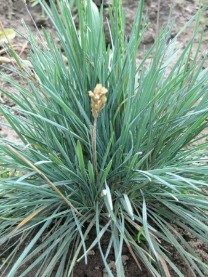 Koeleria glauca is also called blue hair grass. It is a cool season, clumping grass with fine-texured leaves that are very soft to the touch. A good choice for naturalizing, it grows well in a variety of soils, and is drought tolerant.